Jordan’s in the 5th grade this year, and 5th graders get to join the band. I was kind of shocked that music still existed in the public school system, but she was all excited when she brought home the flyer. I was excited too, remembering back to my clarinet playing days. The kids had just a few instruments to choose from and Jordan picked the violin. Lord help us all. I’m sort of kidding, I love how the violin sounds…when the Dixie Chicks play. So I’m sure a 10 year old who totally pays attention to everything teachers say will play and sound just fine. Right? It really doesn’t matter how it sounds though, it’s supposed to be fun. I expect her to enjoy herself right up until Tuesday night after the first session…when they remind her to practice for 20 minutes every day. 20 minutes of violin practice vs 20 minutes of watching daily routines on YouTube. Hmmm….I’m really not sure which one will win. 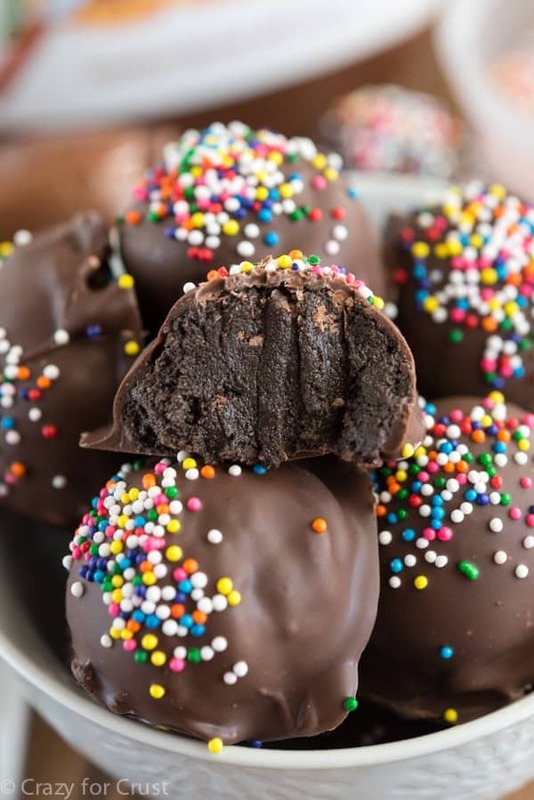 Yes, yes I am jonesing for chocolate that much that I need to make truffles no matter what. 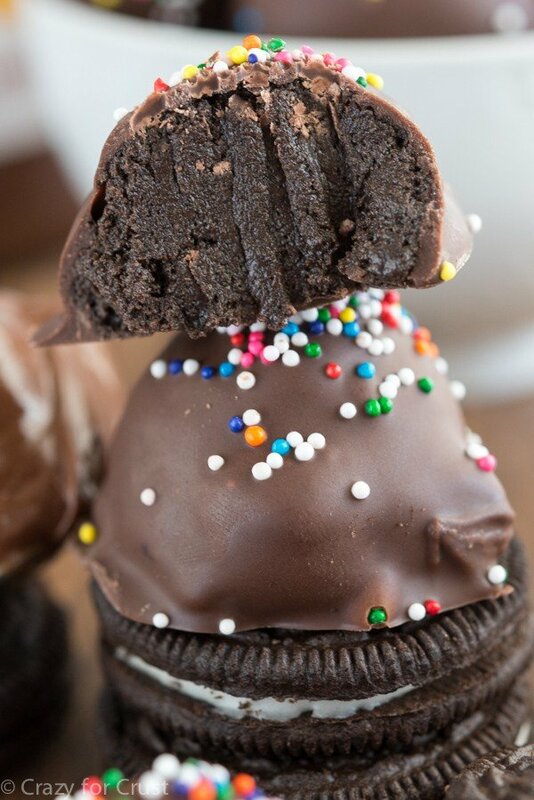 Especially when those truffles are made of just 3 ingredients: Nutella, Oreos, and chocolate. I’m sure by now you’ve all seen that 3-ingredient Nutella Brownie video that’s going around on Facebook. I’ve actually seen that recipe making the rounds on blogs for awhile. I’ve never tried it but it looks really good and last week I was craving it. The problem is I don’t have an oven and I’m afraid to bake in my toaster oven. What’s a girl to do? 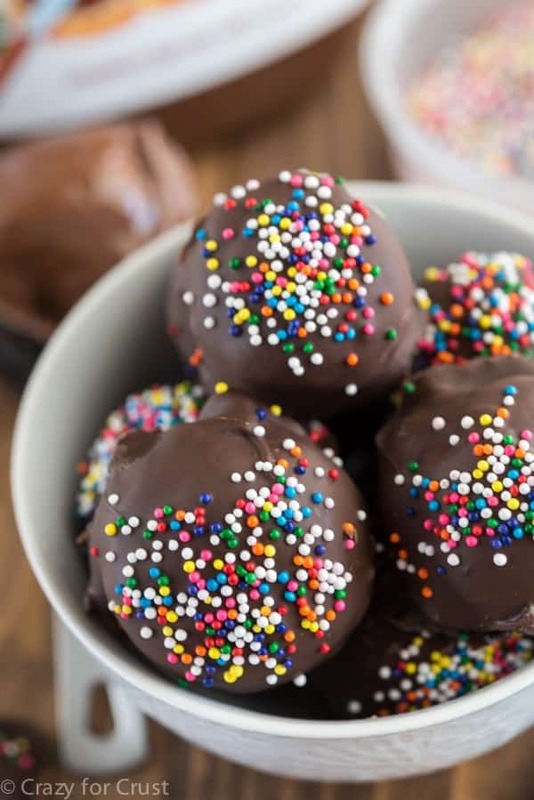 Hint: Make a No-Bake version of a 3-ingredient Nutella recipe!! 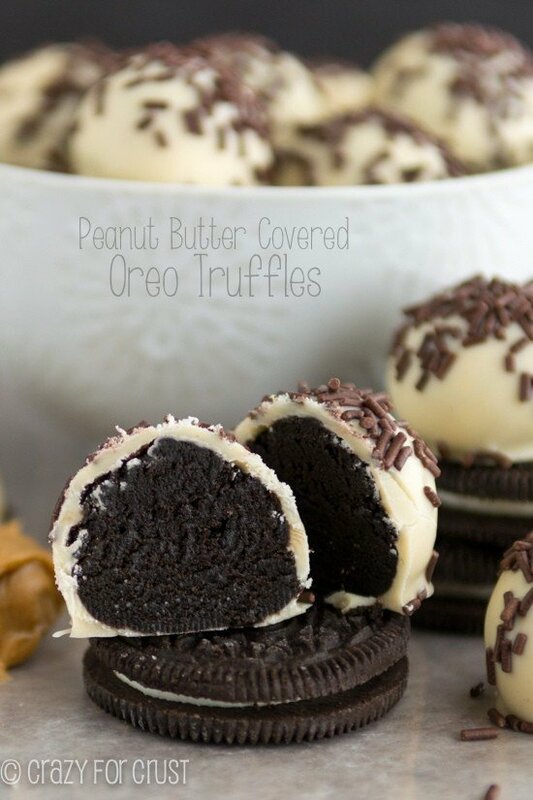 I decided to combine my love of Nutella with my love of Oreo truffles (you know, the Oreo + cream cheese recipe.) But instead of cream cheese, I used Nutella. And if you don’t like chocolate hazelnut spread, you can use any chocolate spread out there. Hershey’s, Reese’s, and some peanut butter companies all make versions. You could even use Golden Oreos! 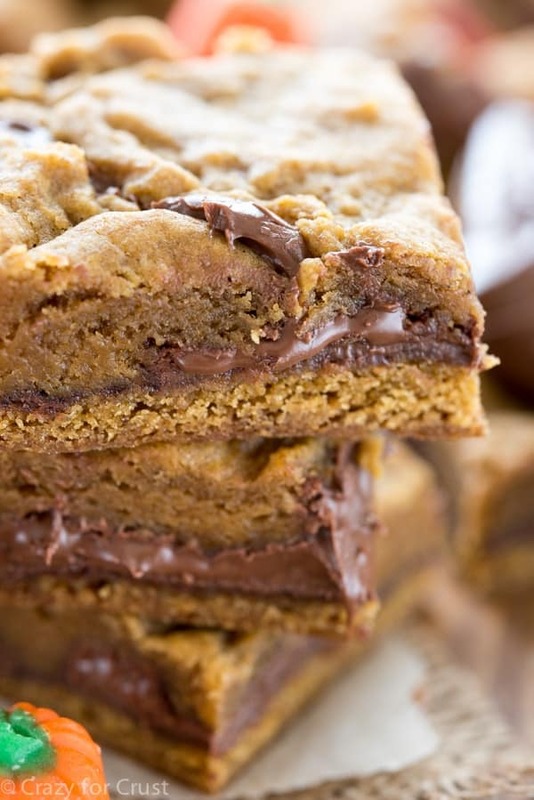 All you need for this recipe are Oreos, Nutella or other chocolate spread, melting chocolate (for dipping), and a food processor. That’s it! Let the cookies and Nutella process for awhile, at least a minute depending on your food processor. It’ll start to form a ball, that’s how you know it’s done. The batter was quite soft when it was done processing. I scooped out 1 tablespoon balls of truffle dough and chilled them for an hour until they were firm enough to dip. If you find that your mixture is too soft to scoop, chill it for 15 minutes, then scoop it, then chill it again. 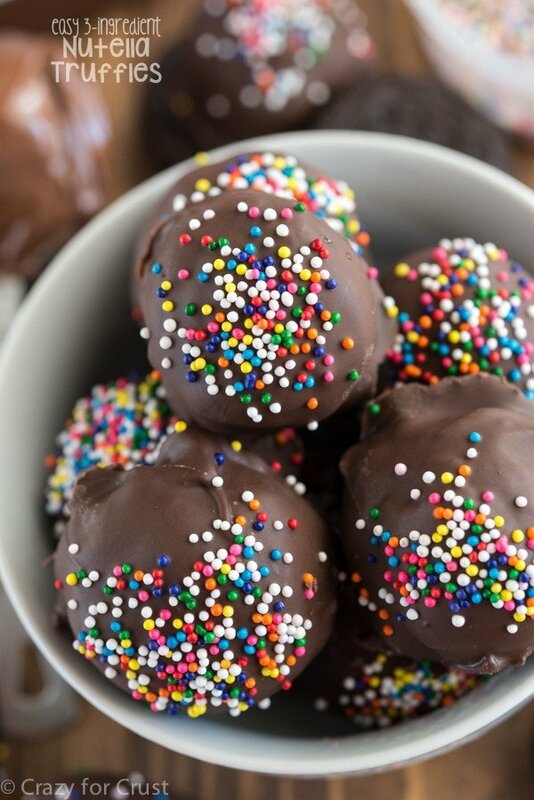 I prefer to use melting chocolate for dipping truffles because it melts easier than chocolate chips (no seizing) and dries better. You can buy melting chocolate, like Candiquik or almond bark, in the baking aisle. I melted 8 ounces but used about 6 ounces. It’s better to melt more than you think you’ll need! 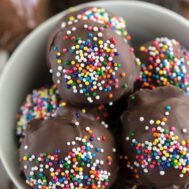 See my how to dip truffles without crying post for tips! These truffles taste better than the beginning violin sounds. In case you were wondering!